These are the stories of five ordinary women—Sarah Edwards, Lilias Trotter, Gladys Aylward, Esther Ahn Kim, and Helen Roseveare—who trusted in their extraordinary God as he led them to do great things for his kingdom. 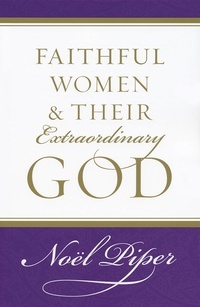 Noël Piper holds up their lives and deeds as examples of what it means to be truly faithful. Learning about these women will challenge readers to make a difference for Christ in their families, in the church, and throughout the world.